Two days with the Lauegi center for avalanche forecasting of the Val d’Aran. 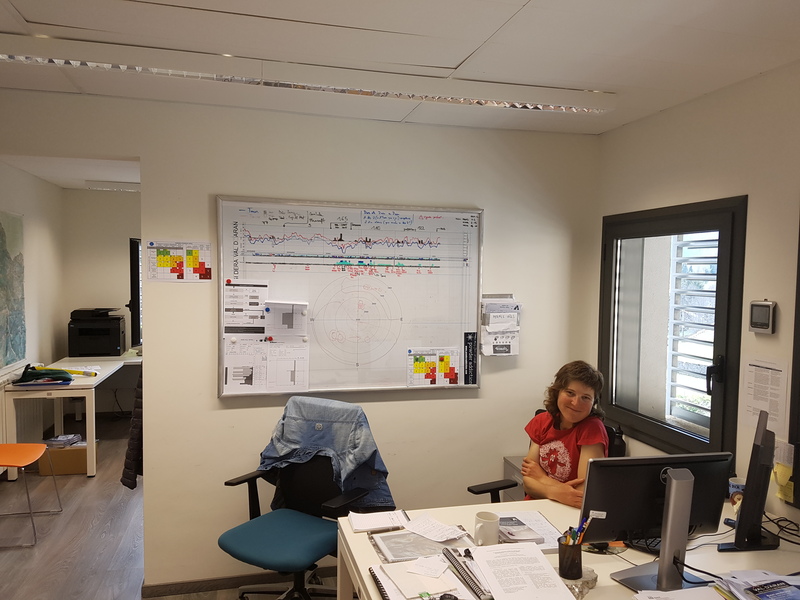 In the Val D’Aran we have one of the most powerful avalanche forecasting centers in Europe and I’ve had the chance to work with them two days to understand their work better. 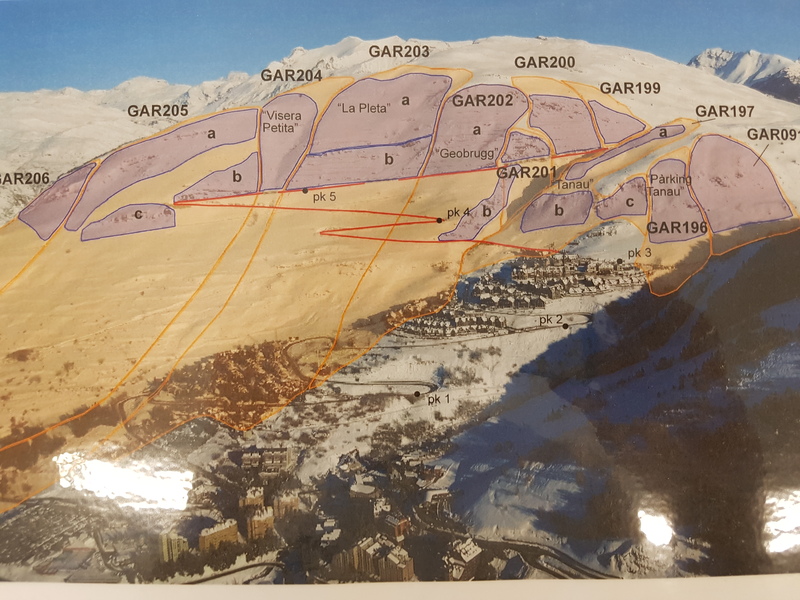 The backcountry enthusiasts and alpinists know better Lauegi for it’s daily bulletin that comes at 8 o’clock every morning and provides detailed information supported by gráfics of the state of the snow layers in different orientations and altitudes of the mountain. Lauegi also makes terrain maps according to the ATES system (Avalanche Terrain Exposure Scale) and make periodic snow profiles to provide all the information and terrain keys to plan our tours in safety. They play as well a key role on the rescues on the mountain. A member of the team always goes on the first helicopter with the mountain firefighters to frame the rescue on safety but as well to identify the causes of the accident and integrate them on it’s models. On top of that, they keep the roads to the valley open during the winter, protect the residential areas, monitor the state of the mountain tracks, perform the controlled detonations, do the avalanche training to the key agents such as firefighters, mountain guides, ski patrol, and finally they lead projects of research and process development of technologies and best practices. 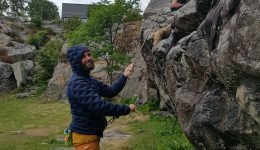 After my two day experience with Lauegi, what shocked me the most, is that actually, all this tasks are performed by just a crew of three members: Jordi Gavaldà, Ivan Moner and Montse Bacardit. Jordi Gavaldà: Geologist. Head of the Lauegi center. Over 25 years in the field of avalanche forecasting. The rest of the team still has problems catching him uphil. Ivan Moner: Geologist. 15 years diging holes in the snow and 10 of them trying to follow Jordi on the Aranese mountains. Tends to like spicy descents. Montse Bacardit: Biologist. The most recent member of the team. Brings great deal of motivation and the critical thinking of a true researcher. As well pretty hard to follow her uphill; trust me. Now it’s about the time where I need to sit down and listen to them explain me how all of this is possible, where this project came from and how it was shaped. In the 90s snow forecasting started in Catalunya. It was done at a regional level, pretty generic and it was not focused on inner valleys nor local routes. 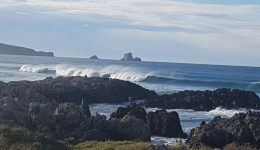 It was not a daily and dynamic forecast as we know it today. Back then, Jordi was already in the team as a collaborator on the Val d’Aran. In 2003 we suffered a big avalanche that destroyed part of the residential area of Tanau. 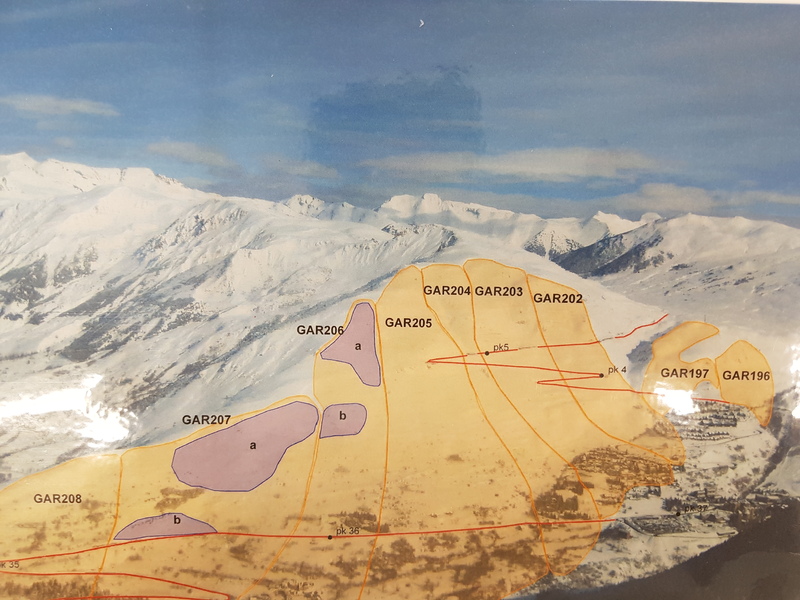 This came on top of an intense winter of avalanches on one of the passes to access the valley, the port of Bonaigua and as well on the port of Beret, that gives access to a part of the ski resort. 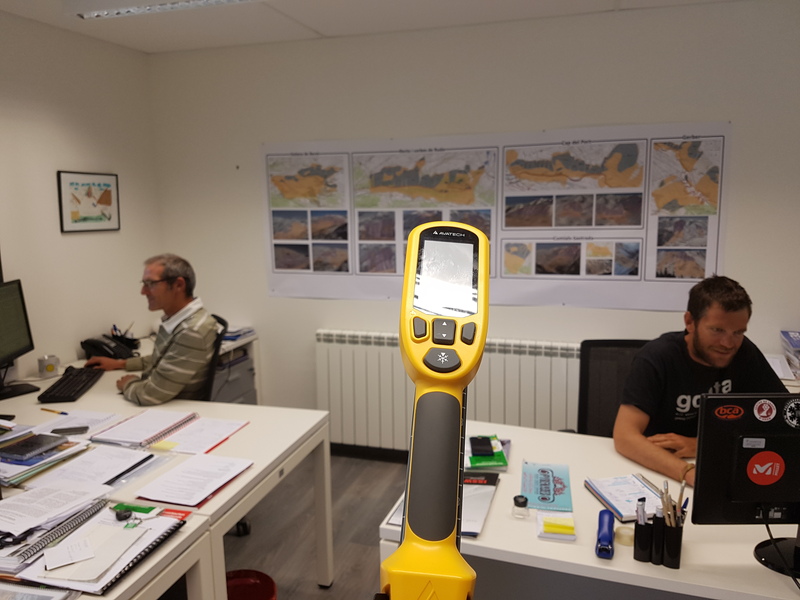 On a context of growing tourism this was the breaking point and the local government of the valley, the Conselh D’Aran, decided to invest on a technical organism focused on forecasting and limiting the risks of avalanches in the valley. 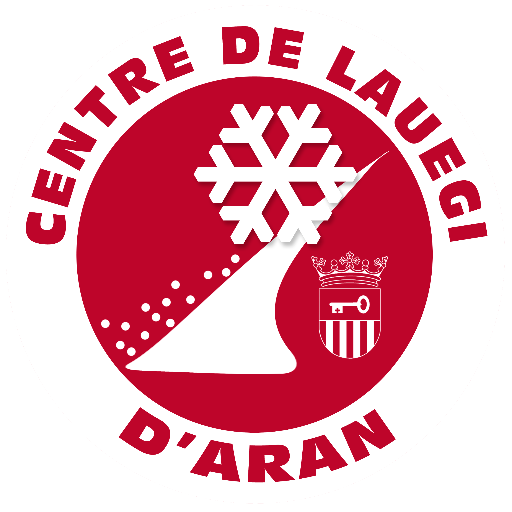 The Lauegi centre for snow forecasting of the Val d’Aran was created with the main purpose to keep the roads to Bonaigua and Beret open as well to protect the residential areas. The center counted with two technicians and weather stations get installed over the valley to collect data. Nowadays, the road mission and house protection it’s still the main mission of Lauegi and actually what brings the financing. This duty still takes them over a third of their job. for this purpose they do dynamic maps of the terrain, hot spot analysis and triggering of the avalanches from the helicopter. This has to be donne with a compressed air shot of a mix of oxygen and hydrogen as it is forbidden to use explosives from a helicopter in Spain. Back on the day, they achieved to keep their main task at bay with such a success that they had enough margin to expand from only preventing road risk to prevent as well risks on the backcountry. They start to submit two to three bulletin per week and describe mountain tours. They made it their own way and somehow wanted to be user friendly. They used a traffic light system to mark risks and terrain traps. Season after season they kept refining their bulletins until 2008 when the Whistler congress happened. Back then Whistler were already pioneers on the field of avalanche forecasting on the backcountry and were way ahead of the game than Europe. This summit was a breaking point and settled precedent on going towards making a unified universal forecasting system and developing the science behind it. Lauegi had the chance to learn from the best and they see clearly the road to follow. For 2011 they abandon the traffic light system and start to map itineraries according to the ATES system (Avalanche Scale Exposure Terrain) been actually the first place in Europe where this was done. 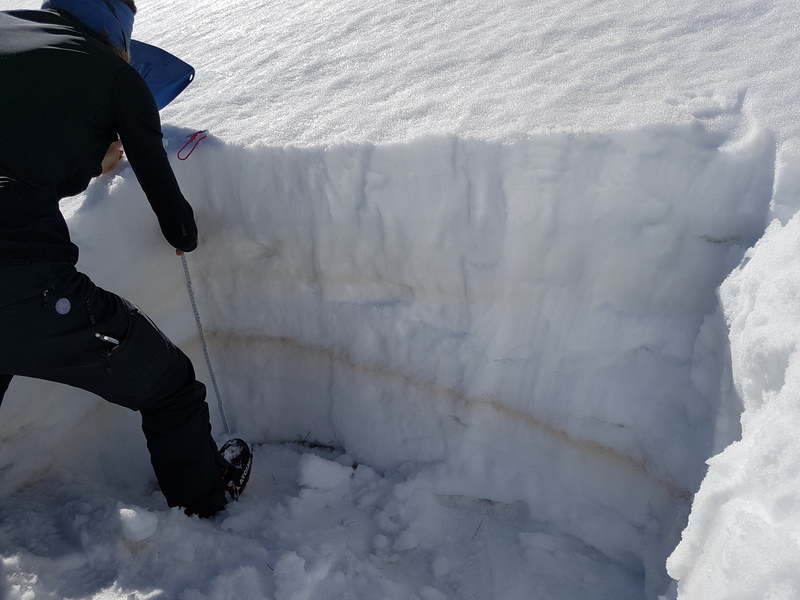 The ATES System was developed in Canada between 2004 and 2006 and is recognised as the most efficient method for interpreting and preventing avalanche risk applied to specific terrain. For 2012 they start with the daily forecast at 8a.m. and the next year they end up setting up a system similar to the one they use today. They discard a concluded forecast with a traffic light system and implement one that gives all the processed data, tools and informations needed to plan our tour in safety. The forecast center collects the data from the six weather stations of the valley and the flowcap that measures the transport of snow. 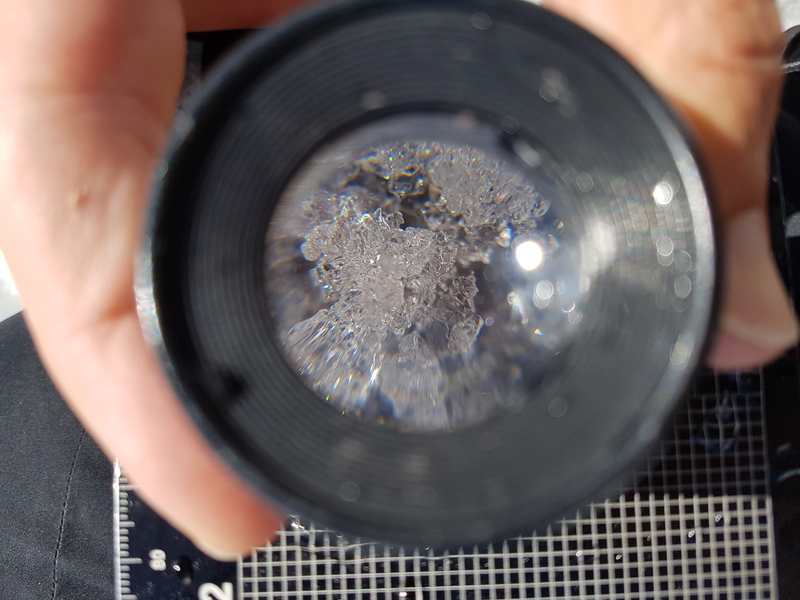 Then they integrate this data to their own observations of the terrain and their field analysis of the snow layers. 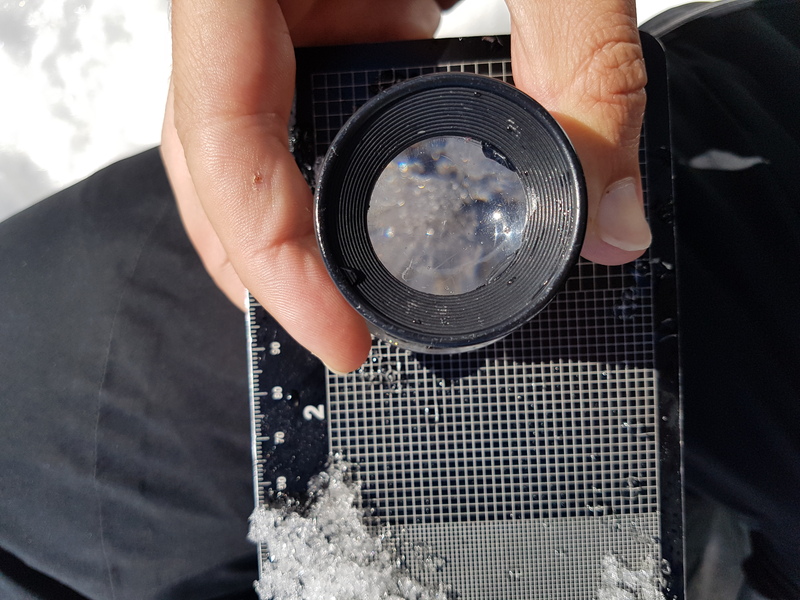 Finally they bring up the information brought by the collaborators so they get a full 360º view of the snow conditions. Once they get this pre-report they cook it down to create the daily bulletin and forecast of conditions submitted at 8a.m. everyday. ONTHEBELAY Two days exploring the Tena Valley. 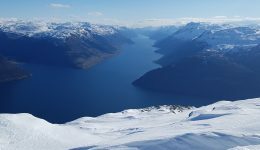 The crew of Lauegi is backed by a network of collaborators that spend loads of time in the mountain and that have training for understanding the environment and the snow behaviour. They are mainly mountain guides, refuge keepers, mountain firefighters, the ski patrol, forest keepers and semi professionals. 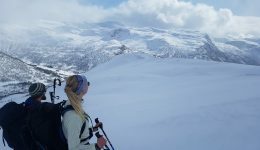 In case of spotting avalanches, wind accumulations, purge and weird behaviours on their snow profiles, they share this information with Lauegi allowing them to constantly keep good track of the terrain. For preparing a tour in safety we need to consider three key factors: CONDITIONS, TERRAIN AND GROUP. The website of Lauegi is settled in a way that makes it easy and intuitive to go through these 3 factors and extract all the information that we need. Provides the daily forecast as well as the historic bulletins; the raw data from the weather stations and flowcap; a gallery of the studies of the snow profiles properly tagged in date, altitude, orientation and analysis of layers; a gallery of relevant photos such as avalanche moraines, wind cornices, purges…; and finally a map showing on real time the state of the forest tracks for driving the approach. Provides a guide to learn to read a terrain map according to the ATES System. Moreover we have 14 tours monitored on that system as well as all the access to the refuges and routes in between the refuges. Putting together all this mapping we have covered pretty much the whole backcountry area of the Val d’Aran. Perhaps the more open category. We find basic information that we should consider for a day in the backcountry; good practices; the evaluator of conditions; keys for understanding the main problems with avalanches (such as recent snow, wind layers, persistent weak layers, wet snow during the day, wet snow due to rain and basal slides); training and finally a list of open articles to learn more about been safe on the mountains. 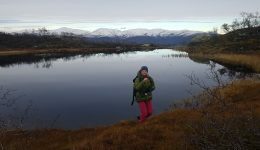 Reading the forecast is crucial, but we should only go on the backcountry after doing a detailed study of those three factors applied to our activity. Yeah, I know, the page is not yet in English; but for next year there is an open project to deliver the forecast in English and French as well. If you don’t come often to the Val d’Aran, it’s still interesting to follow their job. 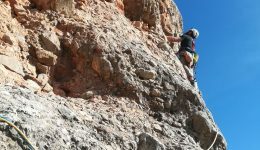 They give enough information and backup for developing our understanding of the mountain and learn to progress in safety. This official platform provides the links to the snow forecasting agencies operating on the selected area. In areas like Roger Pass (Canada), Utah (USA), Livigno, Tirol, Switzerland and several areas of Norway you will get lucky and get a similar platform than in the Val d’Aran. On the other hand, in other areas you will find a generic and less contact forecast that will give you vague guidelines. The process of learning and progressing is and has to be constant; not only at a professional level but as well at a user level. 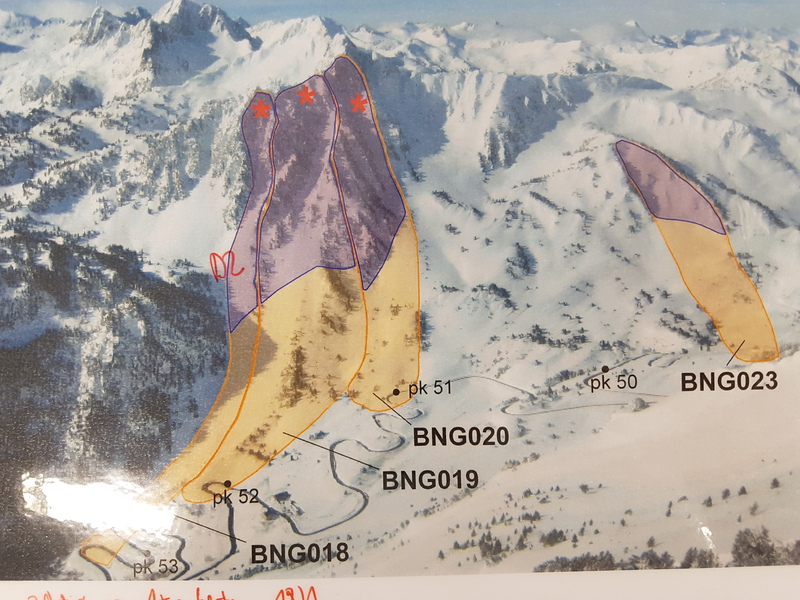 Lauegi is a member of the International Snow Science Workshop, the international benchmark of the sector, as well as the Pyrenean Symposium on Snow and Avalanches, the local one. 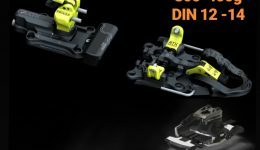 They cooperate with AVATEC testing and developing the SP2, a probe prototype, that thanks to a pressure sensor on the tip does automatic snow layer profiles. Lauegi has implemented this year on their website new icons that make more intuitive the understanding on the snow layers. For next year they have a project to deliver the forecast in English and French. 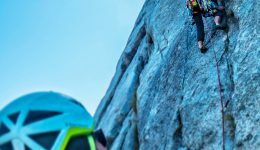 They are cooperating with Mountain Hub http://mountainhub.com/ for integrating their map from the app with the one from the website of Lauegi. To a user level we should have the proper training in avalanche forecasting and terrain reading. We should always head to the backcountry with a proper transceiver, probe and shovel and improve our knowledges constantly. 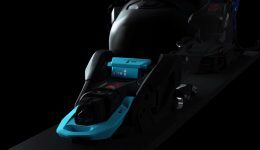 Lauegi cooperates with ACNA association for snow and avalanche knowledge http://acnacat.weebly.com/ that provides training for professionals and recreational users. 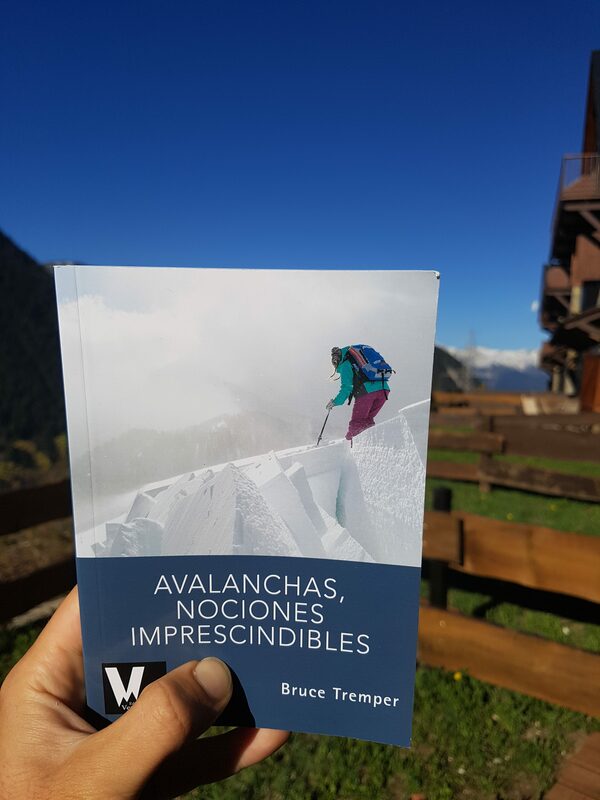 In fact, one of the first things they recommended me was to read Bruce Tremper book “Avalanche essentials, a step-by-step system for safety and survival”. Bruce Tremper has been a snow forecaster for over 30 years in Utah and nowadays his publishings are considered the reference to follow. I already got mine, what about you? 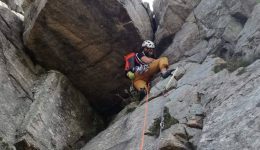 Keep safe in the mountains! This entry was posted in Meet the Locals and tagged MountainSki. Bookmark the permalink. ← NW Couloir of Forcanada (Malh de Pois) with summit. I simply want to tell you that I am beginner to blogging and site-building and absolutely enjoyed you’re web-site. Likely I’m planning to bookmark your website . You actually have tremendous writings. Kudos for sharing your blog.